Malta - it's history, myths, traditions and people. 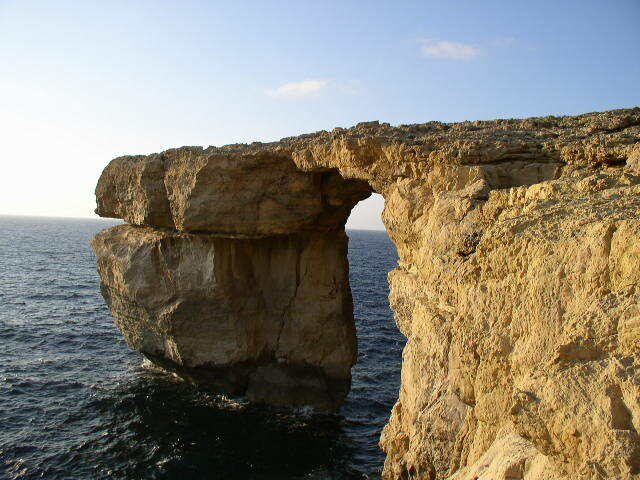 This blog is dedicated to Malta - my island home. My aim is not to bore you with history but to share my thoughts and a few facts together with a photo or two. For a more in -depth background of the island please go here. The purpose of this blog is not to point out the short-comings of the island. There are plenty that do that already. My wish is to show you the beauty of an island at the cross roads of the Mediterranean, a melting pot of history; a place where fact and fiction are sometimes fused to create unique myths and legends; a country that has been conquered so many times that our culture is a mish mesh of the lands that surround us and of lands far away. I confess that my greatest desire is to make you fall in love with this tiny enchanting island. These mighty cliffs plunge 250 metres into the watery depths and are the perfect perch from where to watch sunsets. Weekend nights may be a bit crowded but during the week they are a haven for all those seeking a peaceful spot. This little cove on the outskirts of the town of Siggiewi is a popular bathing spot with those that like rocky beaches. The best place to watch the sunset is not down in the cove itself but from the rocks that tower above. Deserted in winter, this small bay is usually quite crowded during the summer months but, by sunset, most of the people will have already left, leaving a few stragglers, like myself, who prefer the beach at this time of day. As the sun gets lower in the sky, it moves to the left side of the bay and sets behind the rocks. The burn-off from the sun and the jagged silhouette of the rocks creates a wonderful play of shadow and light that I never get bored of looking at. Loree, what a great topic for a post -- and, as always, just gorgeous shots. I wonder, do you prefer rocky or sandy beaches? Marvellous. Enjoy every minute of the coast! that first one is spectacular! What a magnificent cliff, and a wonderful place to watch sunsets! Your photos and information always amaze me. Breathtaking! Your beautiful island has been on my wish list ever since I started reading your blog, and now even more! Of course you know all these places ! How beautiful ! I suppose the tourist season started already and the island will be fill up ! Those are fantastic places to watch sunsets! Enjoyed them all, especially love the silhouetted rocks in the last one. Wow Loree...I love your beautiful spellbinding photos and how you capture that awe of nature...wickedly beautiful..! The first shot is like a magical dreamscape and the second has a haunting feel to it..all gorgeous! I am so glad that the internet allows me to look up locations on a map to give me the perspective of your gorgeous island. I do believe that there is a nature-vista around every turn and every hill on your beautiful island - love these sunsets! You will have to show us your favorite sunrise places next. All content and photos on this site, unless otherwise stated, are property of the author. Please do not copy without permission. There are no paid adverts on this blog. Any reviews are the personal opinion of the author. I will glady link to other blogs/websites about Malta as long as the content is non-political and non-offensive in nature. If you would like me to link to your blog, please send me an e-mail at stories.scribbles@gmail.com. Is social media the demise of blogging?